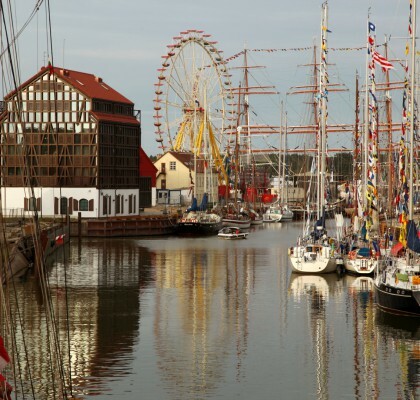 Rostock is an attractive Hanseatic city and famous for historical treasures in the city centre. Modern style architecture is carefully combined with Gothic brick stone churches, convents, Hanseatic granaries and merchant houses. 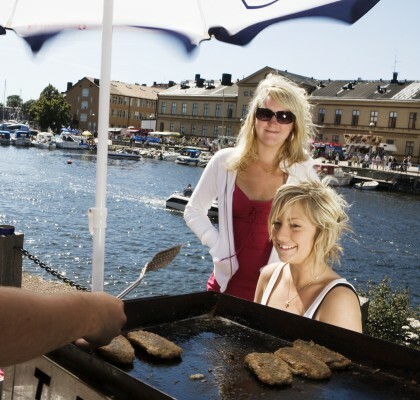 The oldest university in the Baltic is a permanent source for innovative thinking, economic progress and cultural life. At the seaside resort Rostock-Warnemünde locals and tourists enjoy the sandy beach, maritime flair from the lighthouse to sailing boats, fishing cutters and amazing cruise liners in summer. 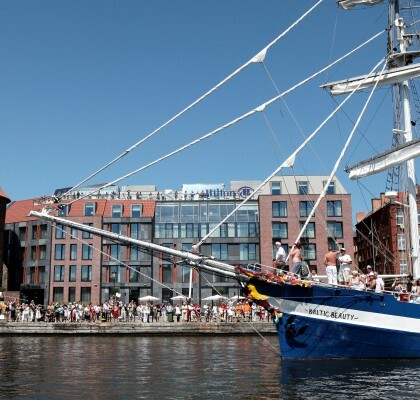 Every year during the second weekend of August the Hanse Sail Rostock warmly welcomes sailors and visitors from all over the world. Barques, brigs, schooners, cogs and windjammers are the main actors of an unique maritime spectacle – Hanse Sail Rostock. Nobody can evade the special romantic charisma of this fantastic rendezvous of traditional ships. Take advantage of your visit and discover the living maritime history at the Maritime Museum of Rostock aboard the “Traditionsschiff Typ Frieden” on the banks of the River Warnow.